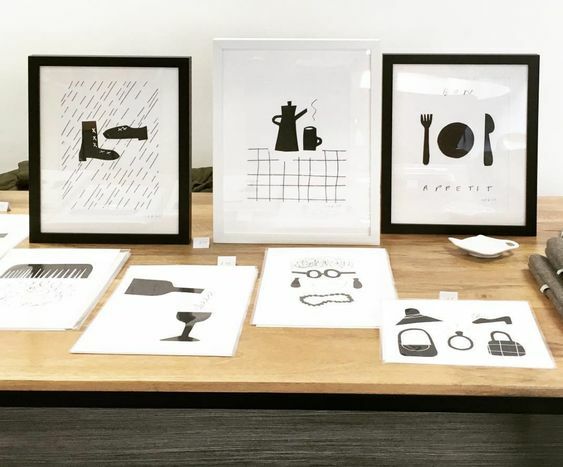 Last week we had our first Ish & Ish craft fair, held at Hallmark's UK canteen. We launched our first collection of black and white monochrome statement prints (they're printed on luxury watercolour paper) made with paper cut outs and our signature line drawing. It went really well (especially our Bon Appetit kitchen print, available framed and ready to gift away) so as always, thanks to all for dropping by and buying prints from us! We'll be busy prepping the Christmas one – see you around on the 6th of December!